Social policy is widely accepted as scientific discipline – and this includes that it accepts for itself another meaning of this status, one which is usually not considered: the subject is disciplined, i.e. regimented. One important point in this context is that social policy is focused and thereby forgets systematic economic determinants and the historical perspective on its own existence. The present book recalls some fundamental issues – such as the partial liberation of human decision making from extramundane powers – and as well as topics that are being discussed in contemporary settings. 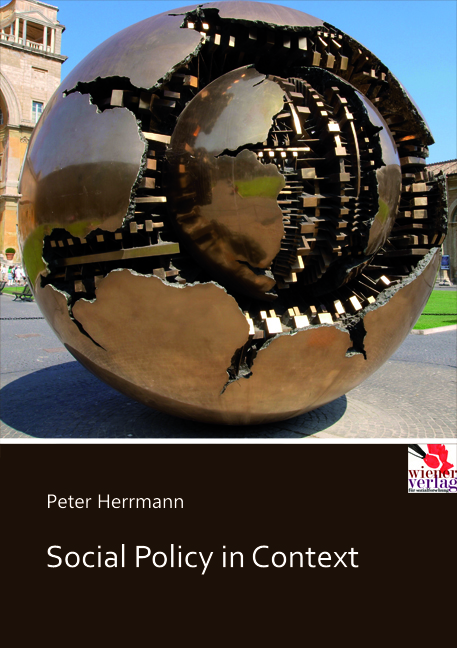 The volume brings different dimensions together in an insightful way and is a stimulating read for those who are ready to engage with the complexity of political questions, are looking for instruments for an analysis that reaches beyond “yesterday’s solutions for the problems we don’t really know anyway”.